Become the protagonist of the story and protect yourself from the orcs with this Bilbo Baggins The Hobbit An Unexpected Journey bright sword. The Hobbit: An Unexpected Journey is the first part of a trilogy of films based on the book by the British writer J. R. R Tolkien and directed by Peter Jackson, whose premiere was on December 13, 2012. This film stands as a prequel to "The Lord of the Rings" and begins on the 111th birthday of Bilbo Baggins who decides to tell his nephew Frodo the facts that occurred on an unexpected journey which started 70 years ago. Along with the dwarves of Erebor and the wizard Gandalf, they undertake a journey through the world of elves, troll forests, dungeons of the orcs and the hiding place of the dragon Smaug to finally find the one ring that many battles are waged in Middle-Earth for. Includes Bilbo’s sword, Sting, created by the Noldor in Gondolin and later carried by Frodo in The Lord of the Rings Its characteristic is that it glows blue when you are near orcs to prevent its carrier from danger. This sword with a brown handle and with silver details needs two AA-R6 batteries (not included) to light up and warn you of nearby danger. Upload your photos to Instagram with the hashtag #funidelia followed by #funidelia44742. 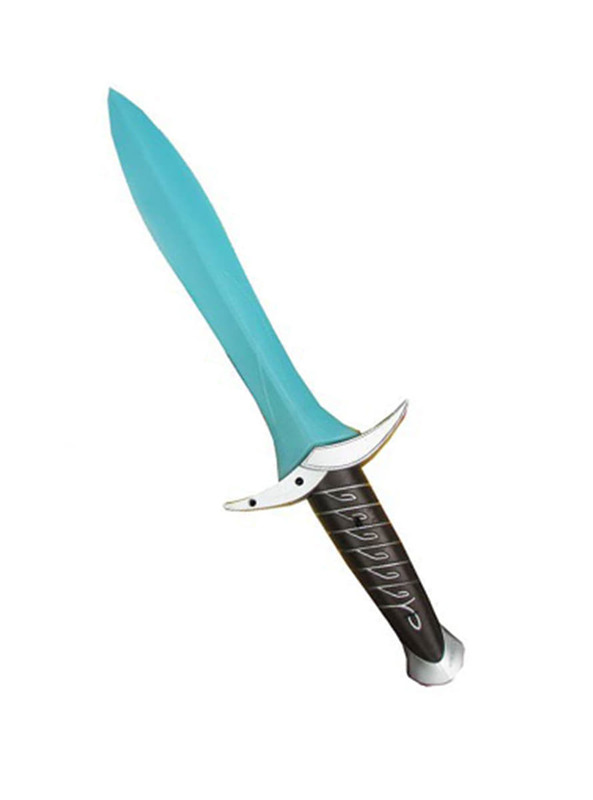 Product Rating: "Bilbo Baggins The Hobbit An Unexpected Journey bright sword"